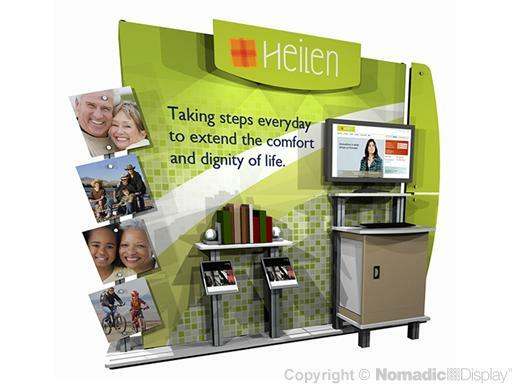 Bring your brand to more places with Nomadic DesignLine hybrid solutions. Expect exhibiting versatility with this 10’ hybrid display that is engineered to adapt and change to meet your market challenges. Our hybrid trade show displays feature dimensional graphic signage, an integrated A/V workstation with secure storage, and trade show shelving for product display to set against a background of brilliant trade show graphics. 1 - Rolluxe Case - 41.75" x 16" x 16"